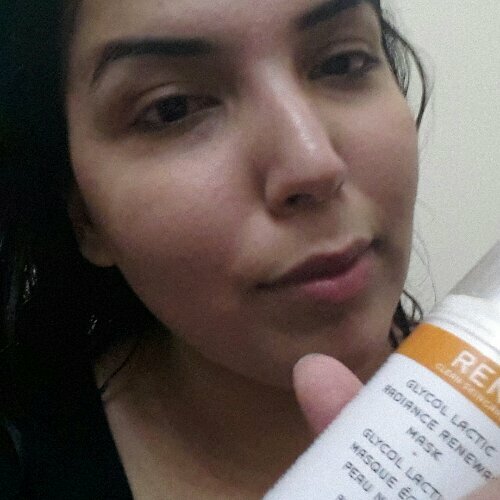 Ren’s Glycolactic Radiance Renewal Mask is some serious business! I recently purchased it from souq.com and regret nothing. Here is the process – use this after you have cleansed your face (bonus points to you if you added the extra step of steaming your skin for 10 mins prior), apply two pumps of the product and smear (NEVER MASSAGE!) into your face. Leave it on for 10 mins (under, never over). Rinse off or use a flannel. Additionally, if you have sensitive skin, do a skin test before applying this as it can be very active for some skin types. There can be redness later, don’t panic, just apply a gentle skincare routine after. Lastly, for many clearer skin types, this product can replace the use of clairsonic consisitantly. PRO TIP: NEVER USE THIS MORE THAN ONCE A WEEK. Your mode of telling all in this piece of writing is actually nice, every one be able to simply know it, Thanks a lot. I do not even know the way I ended up here, but I believed this post used to be great.